Canada had topped my travel wishlist for years, so as we boarded our last flight the excitement started to grow. Down below I could see pine-covered islands dotted in shimmering water – we had made it to Vancouver Island. And I couldn’t think of a better place to start my Canadian adventures than Victoria, the island’s biggest city and capital of British Columbia. Victoria is known for being one of Canada’s most English cities, so I was expecting to feel at home. 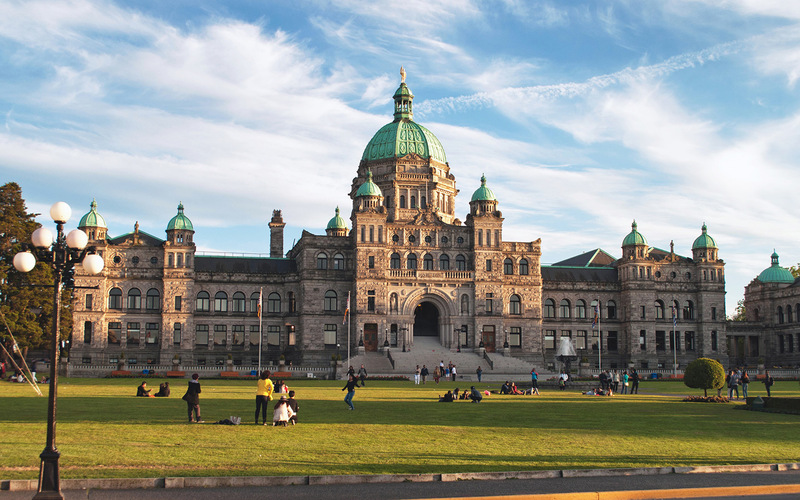 But I found it mixed up European influences – Gothic style at the Parliament building, French Renaissance at the Empress Hotel and Ancient Greece at the ferry building. Today it’s a relaxed, vibrant city on the edge of an island packed with spectacular natural scenery. 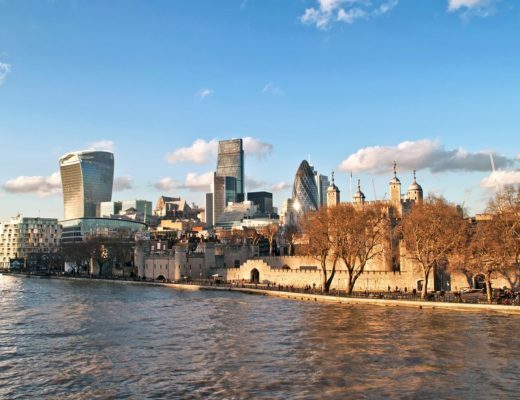 It has a bit of everything – fascinating history and culture, parks, great food and drink. 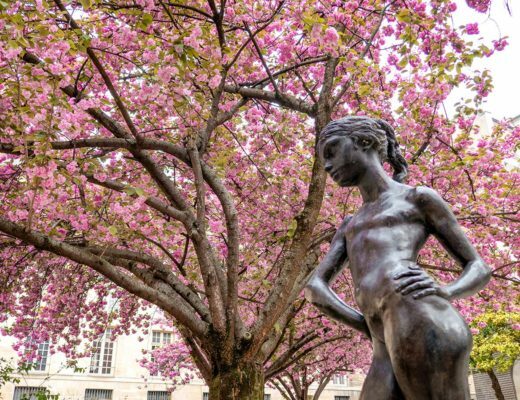 Add in a temperate climate, with sunny spring days during my visit, and a compact and walkable city centre and you’ve got a perfect city break destination. You’d have no trouble filling a week in the area, but if like me you’re on a tight schedule, here’s how to spend a weekend in Victoria. 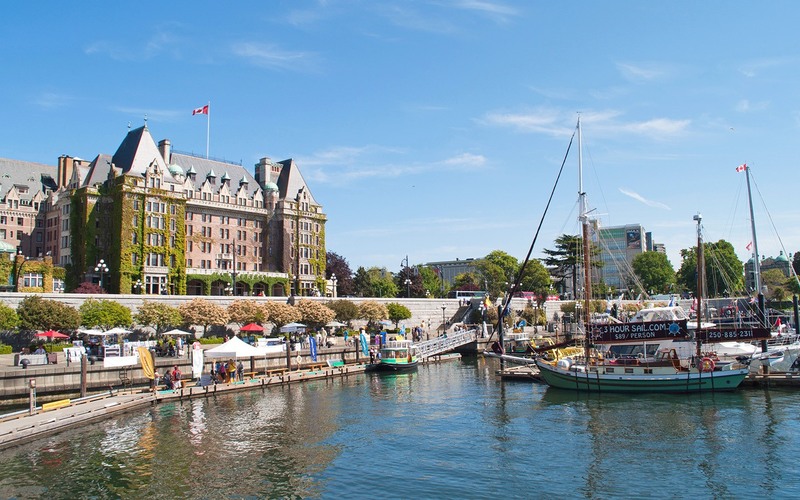 The inner harbour is the heart of this waterfront city, and you can’t get much closer (without getting your feet wet) than by staying at the Hotel Grand Pacific. 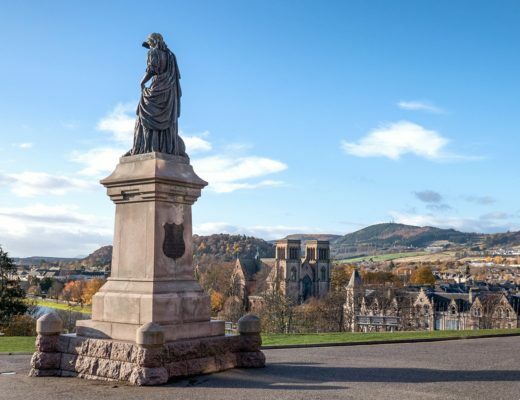 It’s right next to the Parliament Building and a few minutes’ walk from Victoria’s main attractions. The grand, 10-storey building has spacious rooms with balconies looking out towards the Olympic Mountains in one direction and the harbour the other. Rooms from C$150 a night (including tax). Once you’ve checked in to your hotel, head down to the harbour. The water is alive with boats – with everything from huge cruise ships and luxury yachts to water taxis and dinghies. Victorians seem to spend as much time on the water as they do on land. 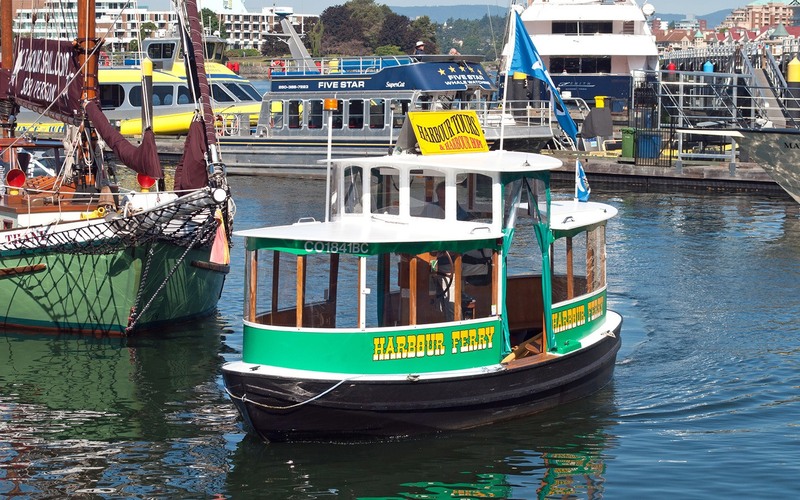 Start your trip off with a taste of city life on land and sea with a walk along the waterfront to Fisherman’s Wharf. The path runs past the ferry terminal and through flower-filled Laurel Point Park. 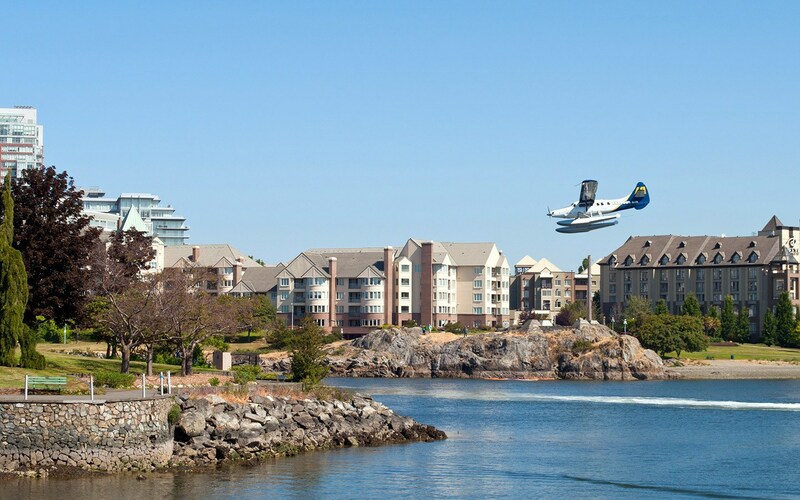 On one side of you are boats gliding past and seaplanes above coming in to land and on the other are smart waterside apartments and hotels. About 15 minutes walk away is Fisherman’s Wharf, with rows of colourful floating homes mixed with food stalls, fishing boats and the occasional friendly seal. 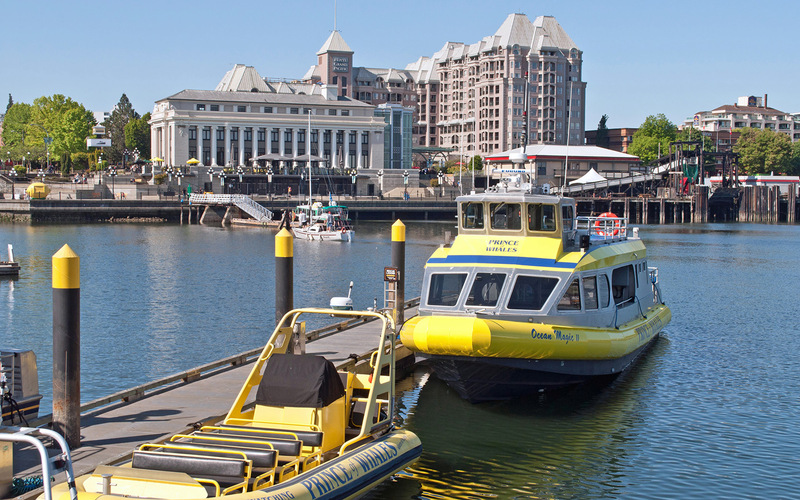 From Fisherman’s Wharf, take the watery route back to the inner harbour on board one of the Victoria Harbour Ferries. These bright green and white ferries might look a bit like toy boats but will whisk you back to the harbour in 10 minutes, complete with commentary from the captain (single fare C$6 adults or C$4 children). Back in the inner harbour, the water’s edge is lined with stalls selling crafts and food, buskers and street performers. Follow the path in the opposite direction, past the seaplane terminal and lines of yachts to Canoe Brewpub for dinner. 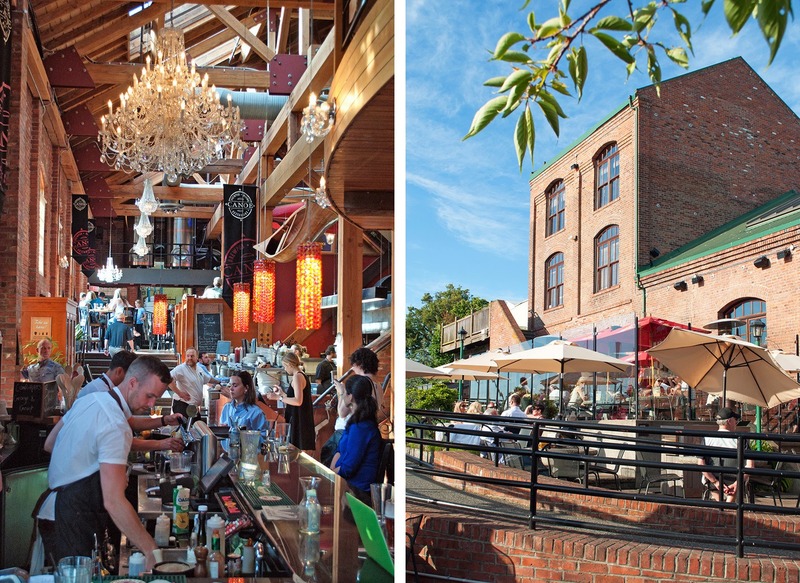 This microbrewery and restaurant in a 100-year-old electric power-plant building has a big waterside patio perfect for sunny spring evenings. They brew their own lagers and ales, served alongside tasty food like burgers, steaks and local seafood. Grab a coffee in the harbour to start the day, but save your appetite for The Pedaler’s ‘Eat, Drink, Pedal’ cycle tour (11am–3pm, C$110 per person). They run a range of themed bike tours around Victoria to introduce visitors to their favourite local haunts. 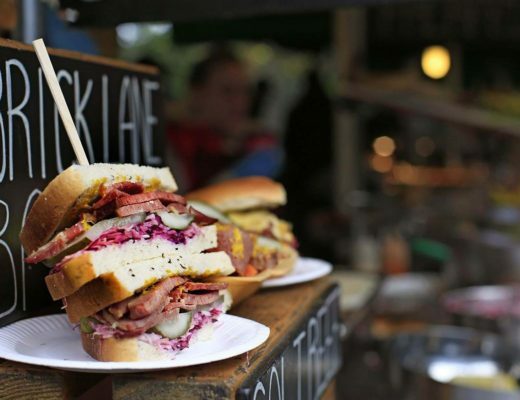 Eat, Drink, Pedal is all about the city’s culinary gems. But before you eat, the tour starts with an introduction to the city. 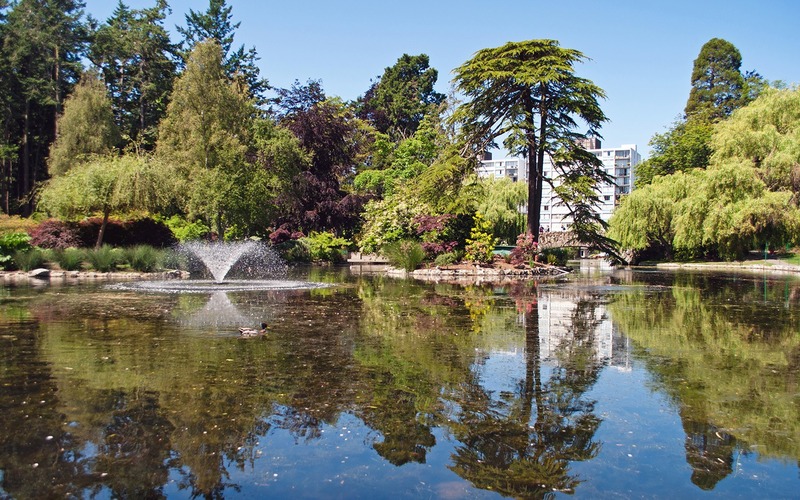 The cycle route takes in Beacon Hill Park first – 200 acres of gardens, ponds and trails along with a petting zoo and waterpark. It was made a protected area in 1858 by Sir James Douglas, the governor of Vancouver Island, and is a favourite spot for Victorians to escape city life. It’s also home to a 39-metre-high totem pole which was once the tallest in the world (it’s been demoted to number four now but it’s still a pretty impressive sight!). After the exercise, it’s time to eat. Each tour varies slightly, so they could adapt their foodie stops to make them gluten-free for me. Stops normally include Zambri’s, with Italian food so authentic it’s been certified by the Italian Chamber of Commerce. They’ve won awards for having Victoria’s best pizza – and the prosciutto salad the chef whipped up for me was delicious. 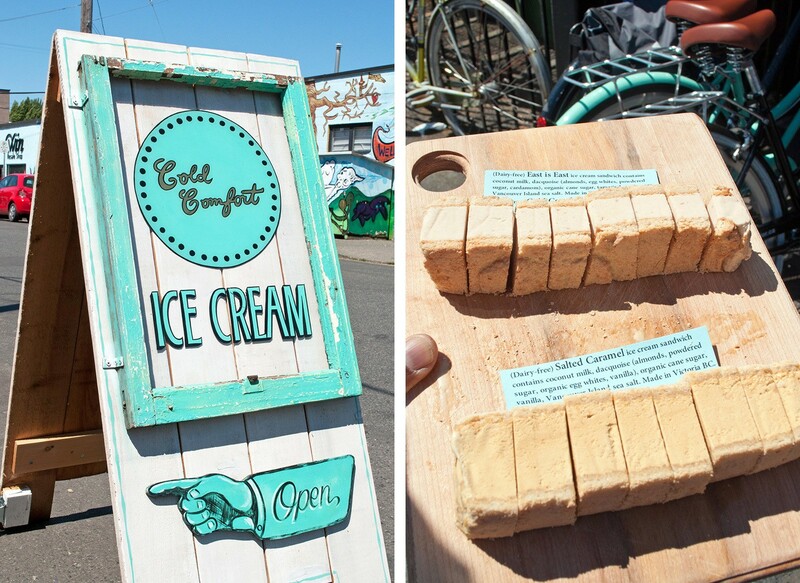 Then there’s Cold Comfort, whose ice creams use organic, local produce to produce quirky flavours like cardamon and tamarind or raspberry and rose. A new flavour is developed each week with over 400 different combinations so far. They also produce amazing dairy-free ice cream using coconut milk that’s so rich and creamy it’s hard to tell the difference. Then finally there’s Bon Macaron Patisserie, whose French owners make Parisian-style sweet macarons as well as experimenting with unusual savoury flavours like blue cheese and pear. After getting a taster of Victoria’s history on the cycle tour, head back to the harbour to find out more. 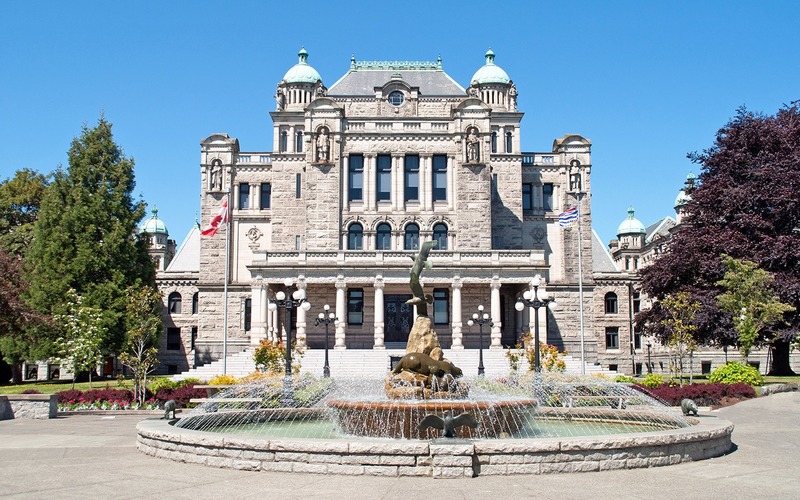 You can take a tour of British Columbia’s parliament (free, but you need to sign up outside) to learn about the ornate building, the province’s history and how Canada’s political system works. 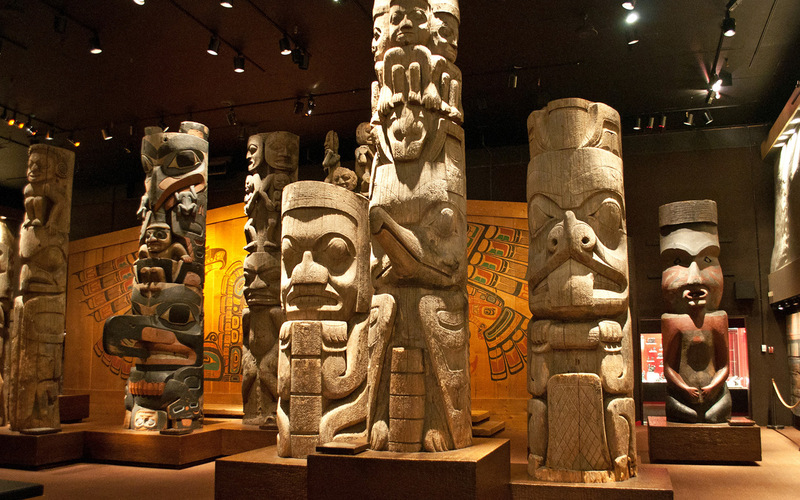 Or head next door to the Royal BC Museum – open until 5pm on Saturdays or 10pm from mid-May to September (entry C$27 for adults, C$19 for students/seniors). It’s a fascinating place that splits the story of British Columbia into three strands. There’s the natural history of the landscape and wildlife, the First Nations’ history of Canada’s indigenous peoples, and the modern history of the province. There are also temporary exhibitions – the current one is all about the Egyptian Pharoahs – and an IMAX cinema. After filling up with culture, it’s time to eat again. Head across the harbour for dinner at Little Jumbo restaurant, tucked off Fort Street (look out for the neon elephant sign). It’s a cosy place, serving inventive cocktails and a small but perfectly formed menu. They use lots of local produce to create delicious dishes like braised lamb shank and grilled lingcod, and there’s also a C$40 tasting menu. Then if you wander back to your hotel along the inner harbour after dark, you’ll see the Legislative Building sparkling with the light of over 3300 bulbs. Have a leisurely breakfast at John’s Place, serving North American classics like pancakes and waffles, plus a Canadian twist from maple-smoked bacon. Then head to the harbour for a whale-watching trip with Prince of Whales. Vancouver Island is one of the best places to spot these magnificent creatures, especially from May to October when salmon are migrating. Orcas, humpback and minke whales all live in the coastal waters as well as seals, sea lions and porpoises. Three-hour tours depart at 12.15pm, plus 9am and 3.30pm in summer (C$130 for adults, C$95 for under 18s). You can choose between a zodiac or larger boat, with a naturalist on board. And if you’re not lucky enough to see any whales on your trip, the company let you take another tour for free – even if you don’t go back to Victoria until years later. 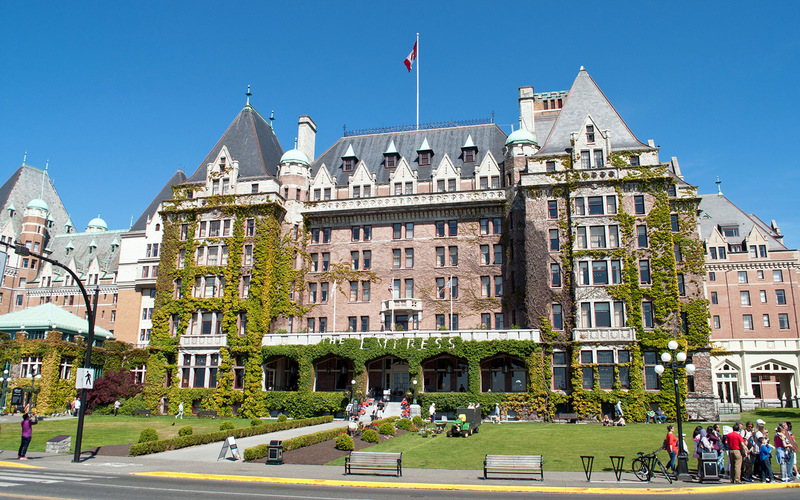 Finish off your weekend with afternoon tea at a Victoria institution – the Fairmont Empress. This historic hotel was built in 1908 for Canadian Pacific’s steamship passengers and became the city’s most famous building. 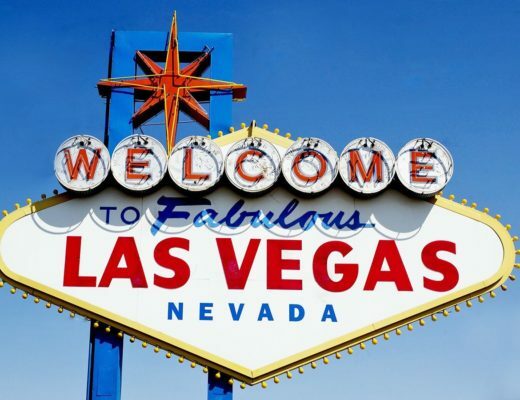 Shockingly it was almost torn down in the 1960s, but was saved and restored to its former glory and is now welcoming well-heeled guests yet again. Their Royal Afternoon Tea (C$75 per person, with vegan and gluten free options) comes with dainty sandwiches and cakes as well as their own Empress Tea, blending flavours from Kenya, Tanzania, South India, Assam, Sri Lanka and China. Or if you prefer something with a bit more kick, try an Empress 1908 cocktail, made with tea-infused vodka, lemon and egg white. 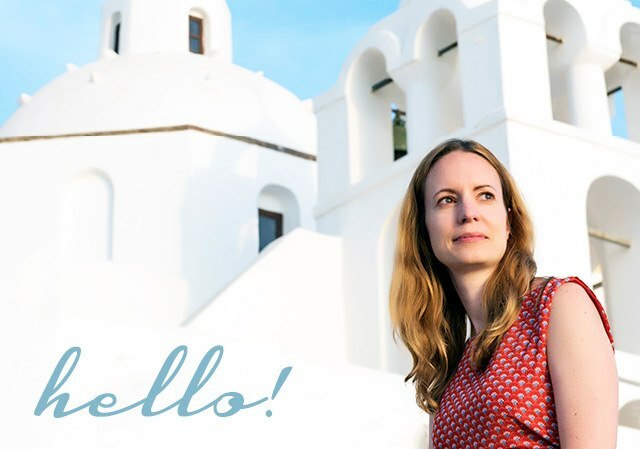 I visited Victoria as a guest of Destination Canada as part of a Travelator Media campaign. This article contains affiliate links, where I get a small commission at no extra cost to you – thanks. It was such a lovely city – so enjoyed my taster of Canada, I’ll be back soon for sure! Awesome tips. I adored Victoria and must go back! As you show, so much to see and as city is so compact easy to get around in a weekend! Yes I’d love to go back too and explore the areas further out of the city – lots more still to see! Thanks Zoe, brought back lots of good memories writing it all up! Canada’s a big place, you’ve got lots to see! Hope you do get to make it out to Victoria sometime though. Thanks Jude, the ice cream is well worth a return trip! Love your shots of the Legislative Building at night – I was fading fast with jetlag and didn’t make it up late enough for it to be completely dark. I hadn’t cycled for years but after this tour and one in Vancouver I am a total convert! Such a gorgeous city! 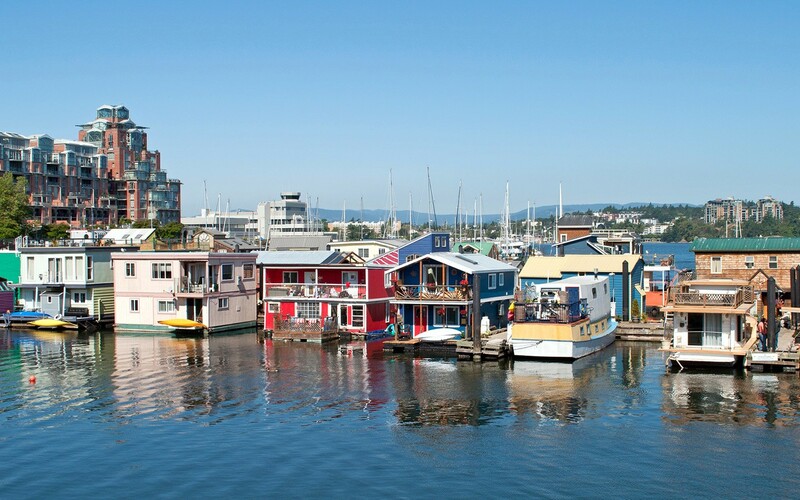 I love the floating houses, I remember wandering around some and being in an absolute day dream about them, I was thinking it was in Vancouver but maybe in was Victoria after seeing this post! I’ve not spent a great deal of time in the city, looks like I’ve missed quite a lot! The floating houses were great, love the bright colours. Definitely looks like a return trip is in order – there’s loads I’ve still like to see too! One of the main reasons for me to return to Canada is to visit Vancouver and Victoria <3 I lived 1 year in Canada, but didnt get to know this side of the country. It’s such a diverse – and huge – country, I could have easily carried on travelling for a few more months! Will have to get back and see the east coast next time. I am happy that you expectations of the country were met! Hi Lucy – looks like there is so much to do and stuff for each taste. Pictures and the stories are great. Thanks Ruta, it’s a fantastic city and really does have a bit of everything! Great post Lucy. I do wish we had had more time there. I’d have loved to have seen the gardens and afternoon tea at the Empress sounds spot on.. next time! Thanks Kat – yes although we packed a lot in it would be lovely to go back and see some more – good excuse for a return visit! Wait til you see the bears! It’s an amazing country – so diverse, though it is huge too so you’d need a while to see it all. Thanks, we had such beautiful weather it really showed off the city perfectly! Nice place to visit, went twice while living in Canada. Very British, English in nature, a replica of an English city from earlier times. It was interesting to see the mix of influences – part North America, part Europe – makes quite a unique combination. It’s a long way for a weekend Jo but sure you’d love it! There’s so much to do in Victoria! It sounds as though you’d need a month to even touch the surface. It all looks so fresh and green too. Yes there’s a lot more to see – good excuse for a return trip though! A great article about my favorite city of Victoria. Some of the additional things I like to do is visit the markets during the summer months and take in the free live music at Centennial Square and in the public parks. Thanks for the tips, Victoria is a lovely city! Thanks, sounds great – one for my next trip to Vancouver (hoping it won’t be too long!). Great article! I remember some of these places from my time living in victoria. Headed back soon and this got me excited even though its a couple of years old! Such a lovely city! Hope you have a great time revisiting it. Wow I’m Blown away! Victoria looks to be such a super-scenic city. I think my bucket list would have to be the whale spotting trip in the zodiac. Thanks for the nice blog.